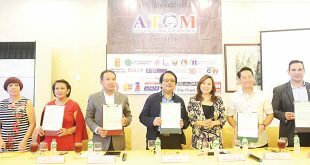 Story and photo by Hananeel Bordey / Special to The Market Monitor Weekend cable public-service show Buhay OFW took a big step in fighting human trafficking on its seventh anniversary by launching the Anti-Trafficking OFW Movement (ATOM) at the Golden Bay Restaurant in Pasay City on July 18, 2017. 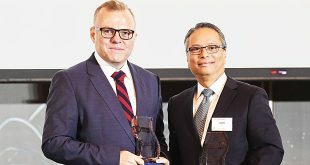 Singapore-based finance publication Asian Banking & Finance recently conferred its prestigious Corporate Social Responsibility (CSR) Program of the Year Gold Award on the BDO (Banco de Oro) Foundation in recognition of the latter’s rehabilitation program for rural health units. 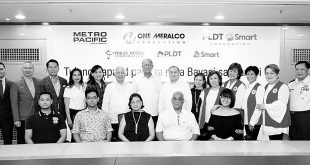 Business leader Manuel V. Pangilinan, also known by his initials MVP, recently led the turnover of financial assistance to the families of the fallen soldiers and police officers of the Marawi City siege that began in May. 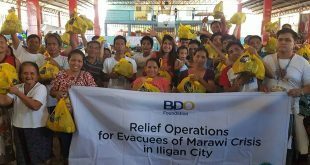 As many as 3,000 families displaced by the crisis in Lanao del Sur province’s Marawi City and about 300 soldiers wounded in ongoing military operations there recently received relief goods from the BDO Foundation, the corporate social responsibility arm of Banco de Oro Unibank, as part of its disaster-response advocacy and commitment to serve communities affected by armed conflict. 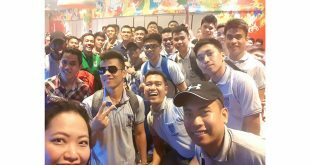 The SM Foundation Inc.’s Dualtech technical/vocational scholars were treated recently by their benefactors to watch the latest Transformers movie in 3D IMAX at the SM Mall of Asia in Pasay City. 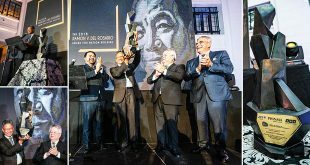 It was a happy occasion for the scholars who expressed their thanks to Henry Sy Sr. 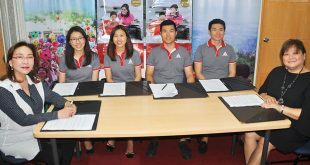 Leading homegrown appliance manufacturer Hanabishi recently renewed its partnership with the GMA Kapuso Foundation (GMAKF) for another year. 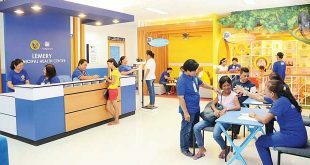 To reinforce its commitment to make a difference through the reconstruction of schools and post-rehabilitation efforts, Hanabishi will donate electric fans and water dispensers to help more financially challenged communities. 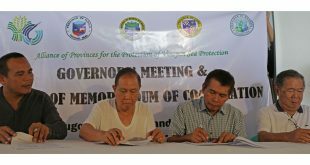 Governors and mayors from the Visayas have committed to restore the Visayan Sea, one of the richest fishing grounds in the Philippines, and protect it from illegal commercial and destructive fishing, it was learned recently.